* Female and Coed Dorm rooms available. * Children under 14 years of age are not permitted in the dorm rooms. * Children between the ages of 14-17 years old must be accompanied by an adult in the dorm rooms. 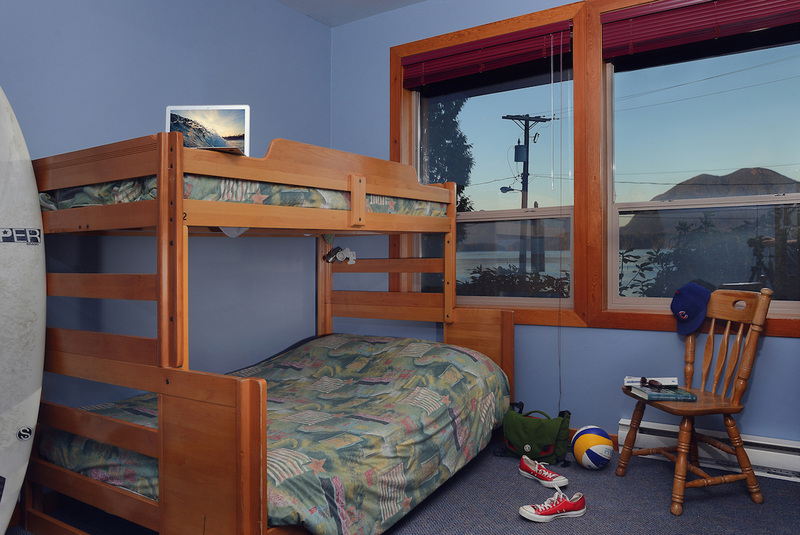 Double bunk bed (Houston Bed) and one single bed. 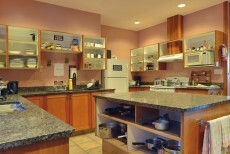 * Additional guests $20 per night per person. * Children under 3 years old are free. 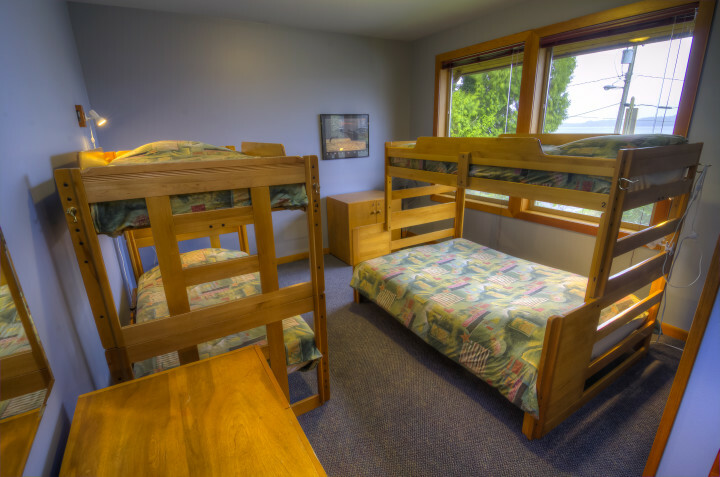 Double Houston bunk bed, 3 single beds with a 2 piece bathroom (sink and toilet). 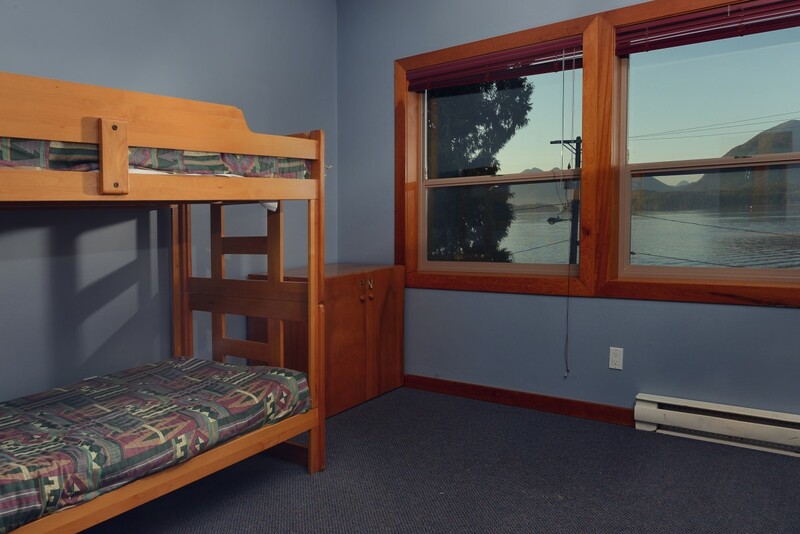 * Additional guests $20/night. Additional Children ages 3-17 yrs are $10 per person, per night. Click here for the updated schedule for Hwy 4 Road Closures. Rates are subject to 5% GST tax and 11% PST+HRT Tax (Hotel Room Tax). Taxes may change without notice. 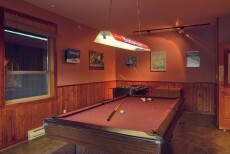 Private room rates are based on double occupancy. Pets are not permitted at the Hostel. Adventure Centre Discounted Tours ~ Receive 10% OFF local eco-tours when you book through our Adventure Centre!